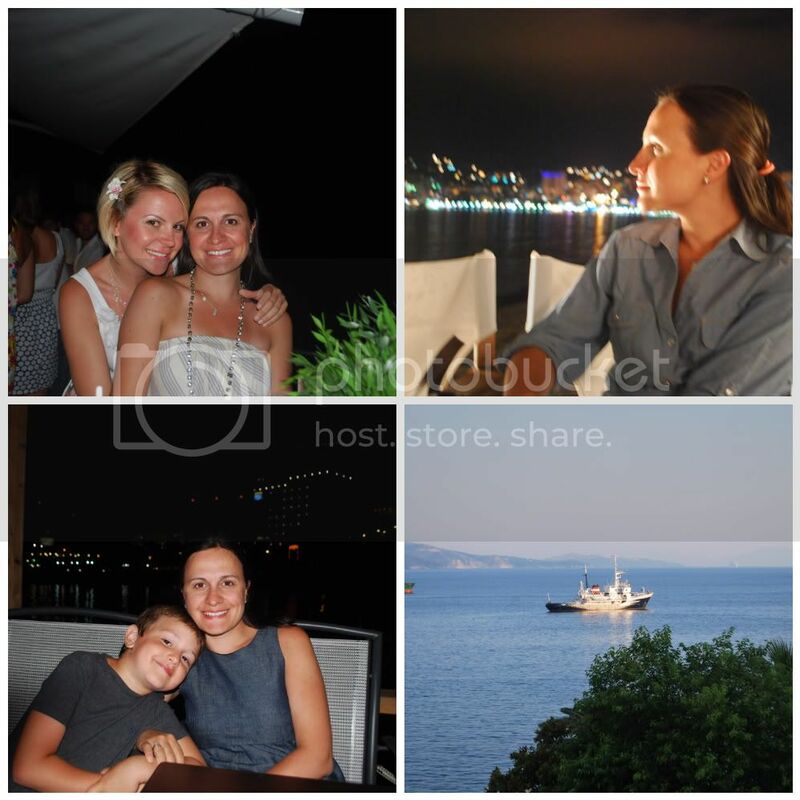 We are back from a month of enjoying family, friends and the awesome Greece! It was better than we imagined. So good, that I completely forgot about posting on my little blog. I couldn’t make myself take any time away from all the goodness. Instead, I tried to soak up every single moment of our vacation. I am happy to say it was amazing! I will be sharing our trip here in 3 parts, starting with part I today. Hope you like it. The daily routine consisted of: waking up at the sound of 3 little voices, sipping a cup of Greek coffee with my sister – followed by 1 or 2 cookies – than getting ready for the beach. We would spend 3-4 hours at the beach, than head back for lunch, a quick shower and a long nap (a Greek routine we didn’t take too long to get used to). Late afternoon we would head back to the beach for another 2-3 hours – than back home for a final rinse, some play, dinner and sleep. After the kids would go to bed, I would sit in the veranda with my sister to watch the sunset. I don’t know why but the sunset in Greece happens around 9 pm. It was the most beautiful moment of the day… actually, the perfect way to end our day. The slow life is a good life indeed! 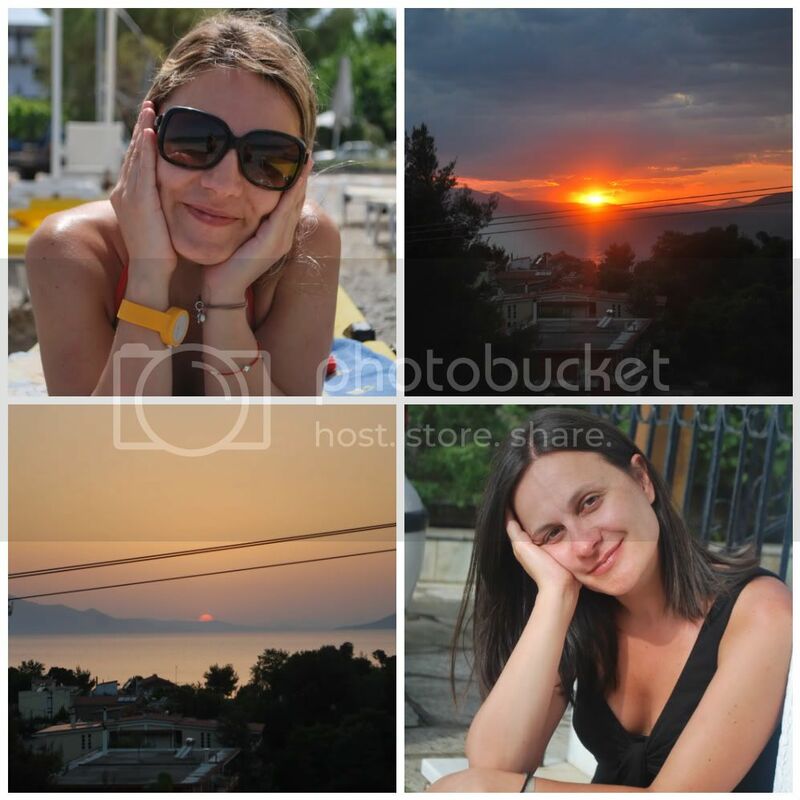 Pictures above : taken from our time in Evia. The ones of the sunset are my favorites. Next we visited my hometown Saranda in Albania. Saranda is located in the south-est tip of Albania, only 40 minutes from the Greek boarder. My parents’ home is only 200 feet from the water and as you can see from pictures, has breathtaking views of the bay. We spent 5 days here before we headed back to Athens, Greece for our last week of vacation. 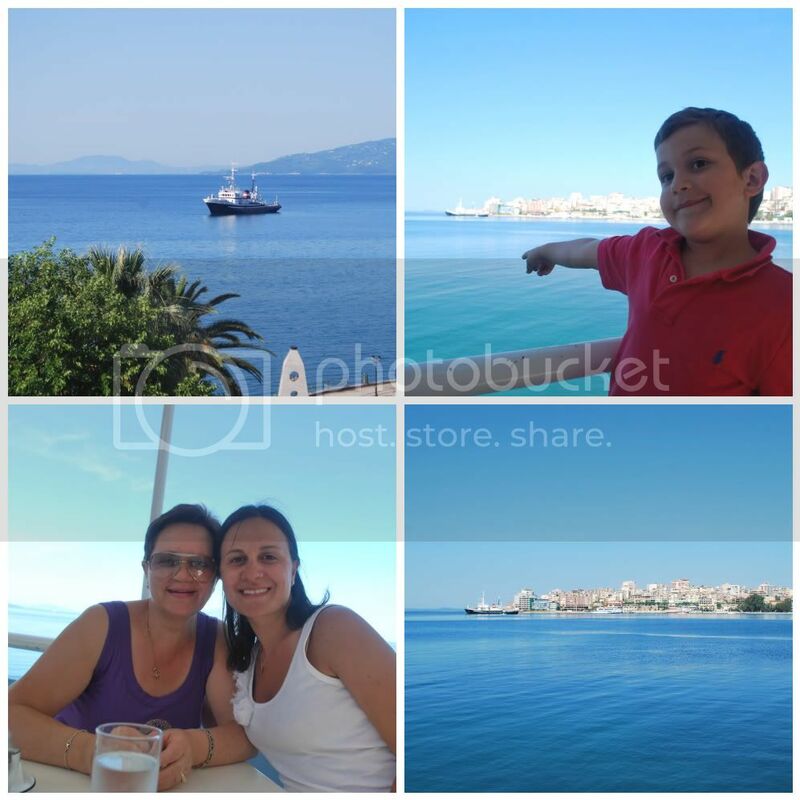 Pictures above : taken during our visit in Saranda. With my younger sister who joined us in spending 5 unforgettable days in Albania. It was a great vacation. We missed Aaron so very much but I am glad we had a chance to take some time away to recharge. 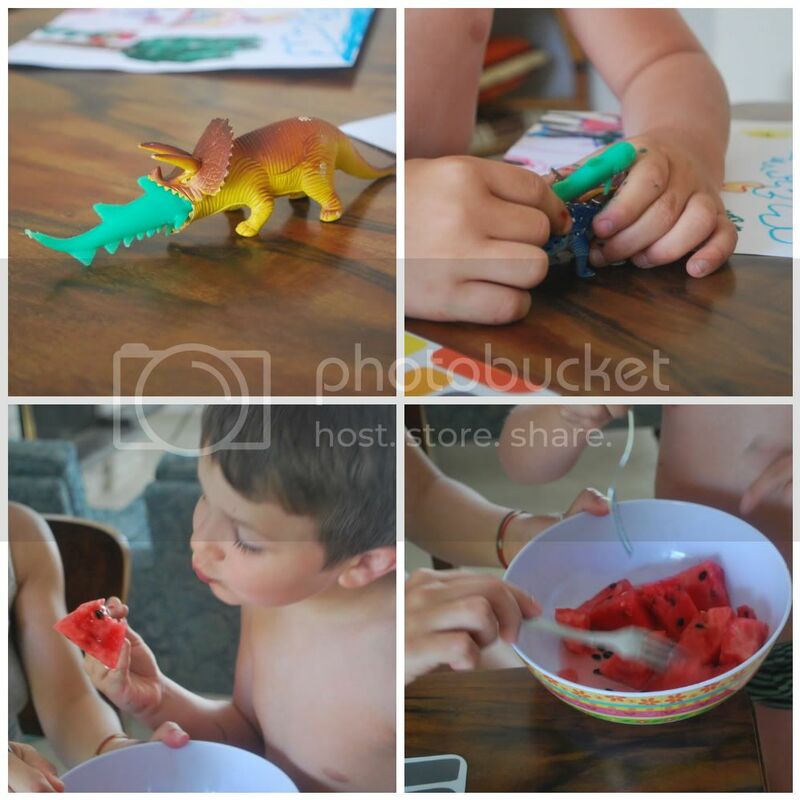 I love looking at these pictures of Nikolas. It really portrays all the fun he had while in there. He was so comfortable in water and improved his swimming 200%. Well, there you have it! I am hoping toshare part II and III in the next week or so. Coming back has had its own challenges. Nikolas came down with a virus (high fevers and such) and we’re slowly trying to get back to the swing on things. On a happy note, there is a lot of new and exciting things happening for Le Papier Studio which I am planning on sharing with all of you soon. The post Greece 2011 – Part I appeared first on Le Papier Blog.